Good news! We realize that the first Infinix smartphone of 2019 will soon arrive in the Ghanaian market. Infinix Hot 7, the successor to Infinix Hot 6, will be released on Monday, February 11. Infinix is one of the smartphone distributors in Africa. And we know there are many people in Ghana who use Infinix smartphones, so that should be good news. Blossom Academy is a Ghanaian startup that trains higher education graduates from several countries in West Africa to become better data scientists. Buy Your Phone and Tablet Device here on Jumia. Now let's see the main specs of the Infinix Hot 7. From what we collect, the Infinix Hot 7 will come with a 6.2-inch high-definition (HD +) display. And the external dimension will be 157 x 75.7 x 8 mm. For the camera section, the rear camera system is a 13 MP dual AF camera with a flashlight. The Selfie side also has an 8MP lens with a flashlight. For the operating system, Infinix Hot 7 will run on Android 8.1 (Oreo). 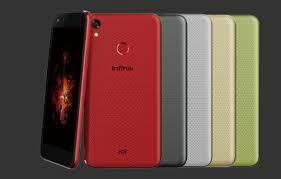 The Android version is combined with Infinix's Hummingbird XOS interface. The Infinix Hot 7 will be released with a standard 32 GB of internal storage capacity. And they set the RAM capacity to 2GB. On the battery side, the Infinix Hot 7 will have a monster 4000 mAh non-removable lithium-ion battery. The Infinix Hot 7 will have two card slots for Nano SIM cards. In addition, for storage expansion, you will have a slot for a microSD card. The cell phone will come in 4 colors, namely Aqua Blue, Champagne Gold, Midnight Black, and Purple. It is compatible with the 3G and 2G network bands in Ghana. Lens selfie 8 MP camera with flashlight. The Infinix Hot 7 will be released on Monday, February 11th. So stay, let's bring more of Infinix Hot 7. Feel free to share.